Charles Dickens was born on February 7, 1812, the son of John and Elizabeth Dickens. John Dickens was a clerk in the Naval Pay Office. He had a poor head for finances, and in 1824 found himself imprisoned for debt. His wife and children, with the exception of Charles, who was put to work at Warren's Blacking Factory, joined him in the Marshalsea Prison. When the family finances were put at least partly to rights and his father was released, the twelve-year-old Dickens, already scarred psychologically by the experience, was further wounded by his mother's insistence that he continue to work at the factory. His father, however, rescued him from that fate, and between 1824 and 1827 Dickens was a day pupil at a school in London. At fifteen, he found employment as an office boy at an attorney's, while he studied shorthand at night. His brief stint at the Blacking Factory haunted him all of his life - he spoke of it only to his wife and to his closest friend, John Forster - but the dark secret became a source both of creative energy and of the preoccupation with the themes of alienation and betrayal which would emerge, most notably, in David Copperfield and Great Expectations. In 1829 he became a free-lance reporter at Doctor's Commons Courts, and in 1830 he met and fell in love with Maria Beadnell, the daughter of a banker. By 1832 he had become a very successful shorthand reporter of Parliamentary debates in the House of Commons, and began work as a reporter for a newspaper. In 1833 his relationship with Maria Beadnell ended, probably because her parents did not think him a good match (a not very flattering version of her would appear years later in Little Dorrit). In the same year his first published story appeared, and was followed, very shortly thereafter, by a number of other stories and sketches. In 1834, still a newspaper reporter, he adopted the soon to be famous pseudonym "Boz." 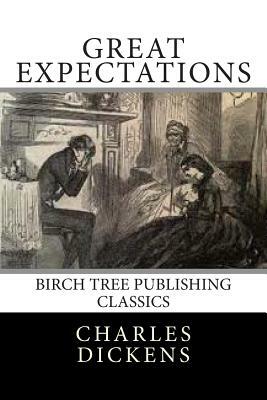 His impecunious father (who was the original of Mr. Micawber in David Copperfield, as Dickens's mother was the original for the querulous Mrs. Nickleby) was once again arrested for debt, and Charles, much to his chagrin, was forced to come to his aid. Later in his life both of his parents (and his brothers) were frequently after him for money. In 1835 he met and became engaged to Catherine Hogarth.